babysitting and interacting with children and I thought I had a pretty good handle on what it might be like to be a Mom one day. Nineteen months into our marriage I became pregnant with our first child. But then out came my beautiful firstborn daughter and suddenly I knew nothing. days (and nights) I love my role as a Mom and wouldn’t want it any other way. But in many ways I still feel like I know nothing, and more often than I would like, I feel like I’m neglecting to teach them the things that I want them to know. school-aged years with homework and relationship issues. Certainly, I’ve learned as I’ve gone through each phase of their lives. teaching EVERYTHING to my children that makes me feel most inept. their emotions, respect authority, and on and on the list goes. 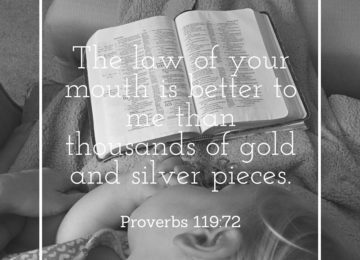 in a way that is pleasing to the Lord. And then he goes on to share words of wisdom imparted to him by his father. intentional in teaching my girls about life. Every aspect of it. And even though I know they will learn from others, I want to be sure that they have specific instructions about life from me. could fill with 31 different blog posts. Even though this year is a bit crazy, I decided to jump in again and commit to writing every day during this month. My topic? It’s intentionally vague. 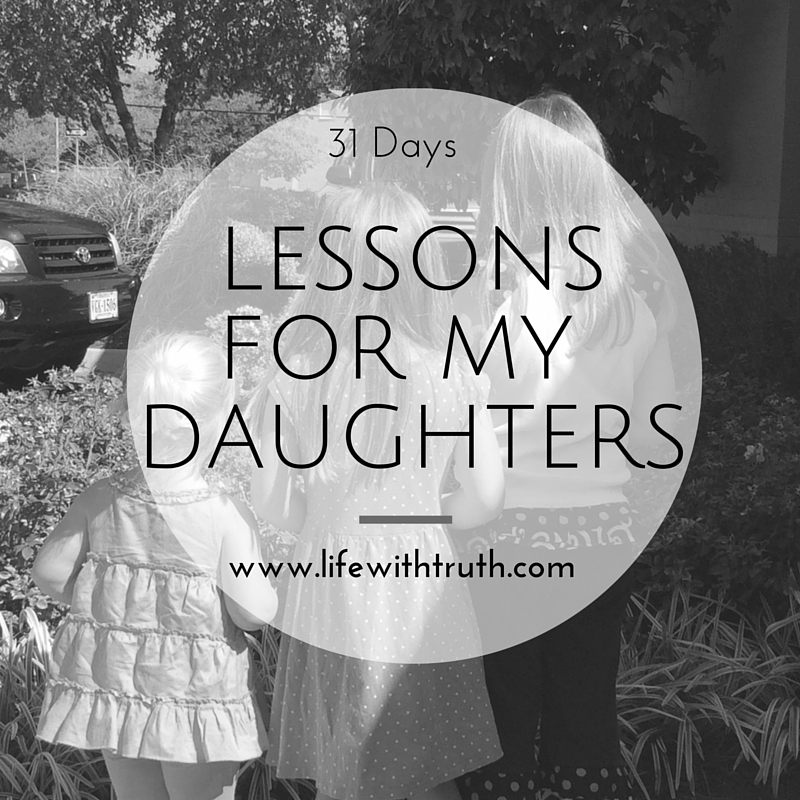 It would be impossible to cover every single lesson that I want them to know in just 31 days. And it would be impossible to cover one entire topic in just 31 posts. Life lessons are more complex than that. So, what can you expect from this series? 1. A post every day, Lord willing. 2. 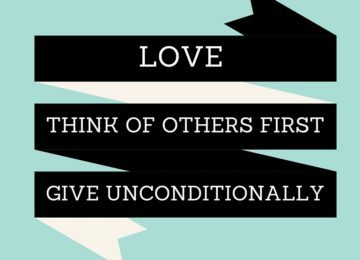 Posts on relationships, beauty, identity, decision making, the Christian life, practical tips, and more. 3. Lessons I have learned throughout my life. Some from my Mom, some from others, some just through life experience. 4. A few guest posts from other Moms of daughters. 5. Posts that speak specifically to the issues that I feel my girls will face, but the principles could certainly apply to boys. 6. Hopefully, encouraging and thought-provoking ideas to help any of you who are also seeking to raise girls in a way that glorifies God. I’d love for you to join along. You can subscribe to receive new posts in your inbox by signing up via the email subscribe option here. Or, you can follow along by liking my Facebook page where I’ll be linking up a new post each day. There are also thousands of other bloggers writing on a variety of topics this month. So, be sure to head over to 31 Days and look for a series that might be helpful to you in whatever season of life you find yourself in right now. Day 17:: So, you want pink hair? I’m so excited to read what you have to say about this topic!! I love reading posts like this from other bloggers around the web. Also, I think you mentioned this in a post writing about sending your children off to public school – remember that it’s NOT your job to teach them every single thing. That would be too big a weight for any one human to bear!